If you think all dentists offices are the same, you probably haven’t been to one that specializes in kid’s dental care. 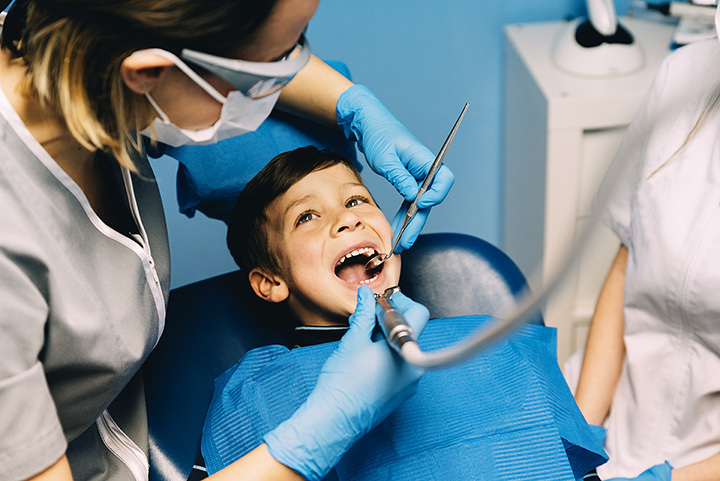 They make taking care of teeth enjoyable, offering a kid-friendly environment that takes the bite out of having to make a trip to the dentist. When your kids need dental care, head to one of these best kid-friendly dentists in Alabama for a fun experience. Bright smiles welcome children and parents at this kid-friendly dental practice. Their dentists undertook an extra two to three years of training after dental school to give kids the best chance at creating a healthy smile. The focus here is largely on preventative care for toddlers, children, and teens, as well as children with special needs. If your child ever feared a trip to the dentist, this place will surely put their fears to rest. Throughout the office are friendly stuffed monkeys that make going to the dentist much more enjoyable. Kids can play with these silly companions and watch the monkeys get their dental needs attended to so they know there’s nothing to be afraid of when they get into the chair. The dentists also offer plenty of motivation to keep their teeth healthy long after they leave the office. Our sweet little Emme Layne turned in her "Pacis" to Dr. Greenleaf today! Ahoy, children! This nautical-themed dental practice will have children forgetting they’re here to see the dentist. Charming decor and friendly employees make a trip here as fun as it is effective. They specialize specifically for children’s needs, and even offer occasional meet and greets with the Tooth Fairy herself! This four-location practice is dedicated to several aspects of dental care for children of all ages. They’re known for their quick in-and-out appointments and ability to offer multiple services, including braces, under one roof. They also provide exceptional services to special needs patients, helping to make each trip to the dentist a fun one for everyone. From infants to adolescents and everyone in between, the pediatric dental care here can’t be beat. The fun environment and friendly, caring staff make for a truly exceptional experience. They focus on helping each patient form healthy cleaning and care habits early that will last them for the rest of their lives, while also working hard to ensure comfort and safety during every visit. This two-location practice (the other one is in Wetumpka) is as kid-friendly as they come—you’d think kids were behind the whole concept! They offer multiple dentists and services to ensure your child gets the dental care they deserve. The team here makes every visit count, offering education along with every service to keep your child’s smile shining bright. With a strong focus on preventative care, this small dental practice is dedicated purely to the needs of children. Their patients (and parents) love how accommodating this practice is for appointments. They’re talented at helping put young minds at ease and take the fear out of going to the dentist. If you’re looking for a dentist who stays on schedule and cares for each patient’s teeth as if it were their own child, you’ll want to pay a visit to Trussville Pediatric Dentistry. They know the vitality of good oral hygiene for children, and that good habits will carry with them through their adult lives. They place equal focus on education and services, giving every child what they need to maintain their beautiful smile. If you’re looking for one practice to handle all your child’s dental care, you’ll love Children & Teen Dental of Alabama. With three locations, this practice offers some of the best dentistry and orthodontic care in the area. They offer a wide variety of services, which means you won’t have to go anywhere else or trust any other dentist with your child’s dental health. Growing healthy smiles for over 45 years, this fun, festive dental practice is 100 percent kid-approved. They’ve taken care to make every aspect of their practice devoted to the children they serve, right down to how their products taste. With two offices to choose from, taking care of your child’s teeth has never been easier.